Added by Neil Maguire, director at Homezone Bromley. 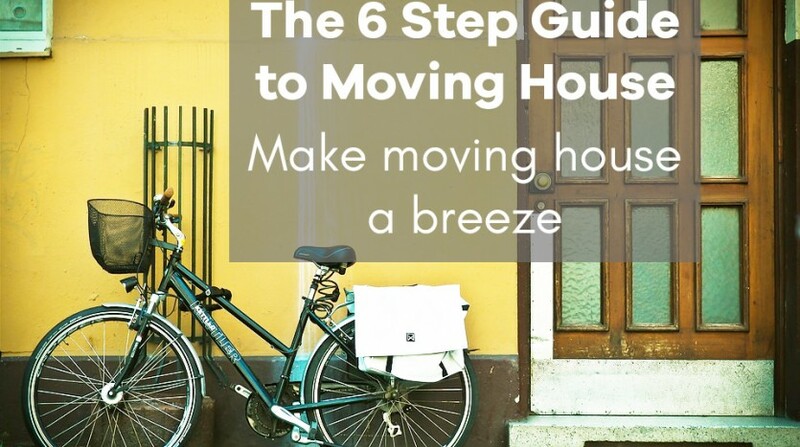 Moving home doesn’t have to be a overwhelming. Here is our guide to the process, broken down into six simple stages. Once you’ve decided you would like to move, the next step is to see if you can afford to do so and, if so, how much will it cost! If you already have a mortgage in place for your existing home, the first call to make is likely to the lender to confirm there are no penalties in place for changing the mortgage and/or whether it is transferable. If this all checks out, then you can speak with them to find out how much more they are willing to lend. However, the best thing to do is to speak to an independent mortgage broker. They will usually give you a free consultation and have access to the whole of the market. If you would like to found out more, take a read about the benefits of using a mortgage broker at mybigmove.co.uk/Benefits-of-using-a-mortgage-broker . Please also get in touch if you would like us to put you in touch with our local independent broker. Before you arrange a valuation with an estate agent, it may be wise to consider if any home improvements need undertaking. We rarely suggest carrying out any major improvements but it is usually worth depersonalising the property in order to make it more appealing to buyers. This is something we often discuss with potential sellers and would be pleased to advise further upon a visit to your home. Therefore, the next step is to arrange a valuation appointment. Just click ‘Valuation’ at the top of the page, enter a few simple details and we will make a booking for you. Arguably, the most exciting point about moving home. Before you go rushing into something, have a think about what type of home you would like. How long are you planning to live there? Are you planning to start a family there? Do the kids have enough space? If you’re looking to stay local, then do make sure you’re registered with Homezone. Whilst all our properties are listed on the website portals, we often get in contact with our known ‘hot’ buyers first in order to give them a head start with viewing properties. Once you are confident about the house you want to buy it is time to make an offer. The price you offer will be based on a number of factors, some of which will be quite personal to you. How much work to you plan to do to make the property suitable? Are there any compromises (there’s always something!)? How much do you want the property and how far will your budget stretch? Remember to enquire about which items are included in the sale, for example if there are any light fittings, curtains/blinds, kitchen white goods, the vendor might include within the sale. As soon as you have put an offer in for your new house, you will need to appoint a conveyancer to act for you. The conveyancer is, amongst other matters, responsible for ensuring that the legal title of the property you are looking to buy is clean and that there are no issues you should be aware of. They will also arrange to transfer the money by liaising with your mortgage lender and the vendors’ solicitors. The conveyancing process often take 2/3 months depending on how complicated the title is and whether there are further enquires that need to be made. Once the conveyancing is complete it is time to move in to your new home you will be in a position to exchange contracts. This is the point when the deposit is transferred and sale becomes legally binding, at this point you will also set a fixed date for completion. Make sure you get plenty of boxes to pack your things and call a removal company well ahead of your move. Most removal companies also provide a packing service which, in my opinion, is well worth considering! On the day of the move, your conveyancer will transfer the balance of the funds over to the vendors’ solicitors. Once this process has been completed, you can collect the keys and start moving in to your new home!